It is, without doubt, my favorite book by my favorite author. When it was published, in 1995, I was sitting behind the counter of a Christian bookstore when a man came in and asked if we could order him five copies. A few days later someone else asked if they could order six. A few weeks later the first man came back for ten more. I knew I had to read this book. I was familiar with Philip Yancey because of his connection to Campus Life magazine and The NIV Student Bible. He was the guy with the hair. Trained in journalism, he is an example of a Christian author rising to prominence not having formally studied theology or having pastored a church. 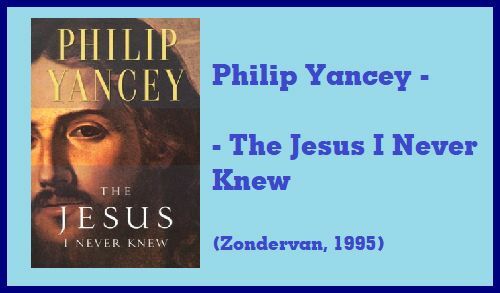 Yancey had written many books before The Jesus I Never Knew was published. Three were with leprosy doctor Paul Brand, as well as Where is God When it Hurts and Disappoint With God. But in a way, The Jesus I Never Knew would kick off a run of prime titles for Yancey which include: What’s So Amazing About Grace, Reaching for the Invisible God, The Bible Jesus Read, Rumors of Another World, Prayer: Does it Make Any Difference, What Good is God and Vanishing Grace. When he writes, he stands in for all of us, with all our questions, misgivings, disappointments, doubts, and hopes when it comes to Biblical texts. He’s not afraid to wrestle with the scriptures and if, as with Jacob, that takes all night, then so be it. He’s never written a formal autobiography — unless you count Soul Survivor — but you come to know him as you read his writing. This was my third time reading The Jesus I Never Knew. My first reaction, on completion of the last page, is to want to turn to chapter one and begin all over. Jesus simply leaps off the page. Yancey has looked at the life of Christ and assembled a myriad of data and then rearranged that information to give us a picture of Jesus as he would have presented himself to the disciples and gospel writers. An alternative title might be, The Jesus You Thought You Knew, or perhaps The Jesus You May Have Missed. If the gospel accounts might be considered an outline drawing of Christ’s life, with this book Philip Yancey fills in the colors, the shading, the textures of the big picture. Over the years, readers have found the section on Christ’s temptation and the Sermon on the Mount to be especially helpful. There’s also the drama of the encounters Jesus has with everyone from the Pharisees to the lepers. He offers much in the way of context then along with personal application for us now. So…today’s review is not a new book, but if it’s new to you, I hope you’ll track down a copy. I went to two Good Friday services yesterday. I know. You wish you could be a spiritual giant as I am, and I say that in all humility. Perhaps not coincidentally both pastors this year chose the same text, I Cor 1: 18-25. As I started to write some reflections on both sermons, I thought a better strategy might be to reproduce the text here in one of the more adventurous translations, The Voice. 20 So now, where is the philosopher? Where is the scholar? Where is the skilled debater, the best of your time? Step up, if you dare. Hasn’t God made fools out of those who count on the wisdom of this rebellious, broken world? 21 For in God’s deep wisdom, He made it so that the world could not even begin to comprehend Him through its own style of wisdom; in fact, God took immense pleasure in rescuing people of faith through the foolishness of the message we preach. 22 It seems the Jews are always asking for signs and the Greeks are always on the prowl for wisdom. 23 But we tell a different story. We proclaim a crucified Jesus, God’s Anointed. For Jews this is scandalous, for outsiders[lit: Gentiles] this is moronic, 24 but for those of us living out God’s call—regardless of our Jewish or Greek heritage—we know the Anointed embodies God’s dynamic power and God’s deep wisdom. 25 You can count on this: God’s foolishness will always be wiser than mere human wisdom, and God’s weakness will always be stronger than mere human strength. Learn more about The Voice at this information page at Bible Gateway. Image: A few days ago at C201 we ran a piece on what the Bible says about real fools. You can read that at this link. Today’s song focuses particularly on the last meal with The Twelve where Jesus washes the feet of his disciples. Double click the video for a fuller description. Did you ever think, when you were a child, what fun it would be if your toys could come to life? Well suppose you could really have brought them to life. Imagine turning a tin soldier into a real little man. It would involve turning the tin to flesh. And suppose the in soldier did not like it. He is not interested in flesh: all he sees is that the tin is being spoilt. He thinks you are killing him. He will do everything he can to prevent you. He will not be made into a man if he can help it. What you would have done about that tin soldier I do not know. But what God did about us was this. The Second person in God, the Son, became human Himself: was born into the world as an actual man – a real man of a particular height, with hair of a particular colour, speaking a particular language, weighing so many stone. The Eternal Being, who knows everything and who created the whole universe, became not only a man but (before that) a baby, and before that a foetus inside a Woman’s body. If you want to get the hang of it, think how you would like to become a slug or a crab. The result of this was that you now had one man who really was what all men were intended to be: one man in whom the created life, derived from His Mother, allowed itself to be completely and perfectly turned into the begotten life. The natural human creature in Him was taken up fully into the divine Son. Thus in one instance humanity had, so to speak, arrived: had passed into the life of Christ. And because the whole difficulty for us is that the natural life has to be, in a sense, ‘killed’, he chose an earthly career which involved the killing of His human desires at every turn – poverty, misunderstanding from His own family, betrayal by one of His intimate friends, being jeered at and manhandled by the Police, and execution by torture. And then, after being thus killed – killed every day in a sense – the human creature in Him, because it was united to the divine Son, came to life again. The Man in Christ rose again: not only the God. That is the whole point. For the first time we saw a real man. One tin soldier – real tin, just like the rest – had come fully and splendidly alive. You can imagine that I was surprised to learn this excerpt is from Mere Christianity. How did I miss this before? He doesn’t just leave it as an analogy for incarnation, but rather overlays that with the idea of the transformation that must take place in the child of God. Brilliant! Preparing for Easter: Fifty Devotional Readings from C. S. Lewis; HarperOne, 2017, hardcover. More information at this link. 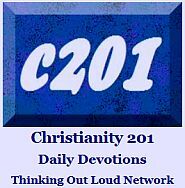 This weekend I’m continuing to present a series of devotionals I wrote for Christianity 201 earlier this week. In a way there are some similarities between this one and yesterday’s. There we looked at Paul separating out his core group for an intensive teaching program. Here, Jesus takes some of his core group aside to talk about end times signs. Today we’re looking at a few verses in Mark 13. A few nights ago I watched a most enlightening sermon on John 3 from Dr. Gary Burge, professor at Wheaton College who teaches at Wheaton College, given on a Wedneday night at Willow Creek. You can watch the sermon at this link. In his first miracle, Jesus takes the ceremonial water for washing and replaces it with wine. In his encounter with Nicodemus (the subject of Burge’s message) Jesus reminds him that “you are Israel’s teacher and yet you don’t know these things;” (Jn. 3:10) and Jesus himself replaces him as Israel’s teacher. In the text above we’re told that the temple itself will be replaced with something new, the temple of his body which will die and be raised within three days. This question sets the stage for the rest of the chapter, but the thing that struck me as I was reading it in The Voice Bible was a bit peripheral, but still worth noting. There’s a sense in which they are saying, ‘Just tell us — just the four of us — what the signs will be.’ As a group of people taken aside, they felt entitled to some insider information. Who would not be eager to be the chosen of the chosen? But it’s also worth noting the inclusion of Andrew. We tend to think of the inner circle as consisting of a type of triumvirate consisting of Peter, James and John. In a natural sense, we can see Andrew’s inclusion here, after all, James and John were brothers and so were Peter and Andrew. Two sets of brothers. But usually (see Mark 5:37 and The Transfiguration in Matthew 17) Andrew isn’t part of this select group. So what we see here with Jesus is flexibility in choosing who is part of the core group at any given time. There’s a leadership lesson here, that some other people can be brought to the table as occasion arises; the group is not tightly closed. Mark 5 Jesus said to them: “Watch out that no one deceives you. 6 Many will come in my name, claiming, ‘I am he,’ and will deceive many. 7 When you hear of wars and rumors of wars, do not be alarmed. Such things must happen, but the end is still to come. 8 Nation will rise against nation, and kingdom against kingdom. There will be earthquakes in various places, and famines. These are the beginning of birth pains. I Peter 3:15b …Always be ready to offer a defense, humbly and respectfully, when someone asks why you live in hope. There is a balance to be struck between Holy Spirit leading and proper preparation. Having been in this situation many times in my contacts with seekers and non-believers, I can honestly say there are times when, even though I feel I can offer textbook-precise answers, I have to pause and ask God to speak through me. Matthew 24:6 You will hear of wars and rumors of wars, but see to it that you are not alarmed. Such things must happen, but the end is still to come. Mark 13:7 When you hear of wars and rumors of wars, do not be alarmed. Such things must happen, but the end is still to come. As important as this is, it remains true that there are certain prophetic markers which must occur first. This is where the dominoes kick in. I believe that those markers could be staked like dominoes and fall together in rapid succession. So yes, “the end is till to come;” but don’t kick back and relax because of that. A wise person will not wait for the dominoes to start falling, but will be observant of the stacking of the dominoes. 32 “But about that day or hour no one knows, not even the angels in heaven, nor the Son, but only the Father. 33 Be on guard! Be alert! You do not know when that time will come. Our desire should be the deepest intimacy with Jesus that was enjoyed by Peter, James and John (and Andrew), but if our goal in that is simply knowledge, we need to know that Jesus might not grant us insider information, because some things are not for us to know. Sometimes when I wake up in the middle of the night and can’t get back to sleep, I will take a familiar passage of scripture and run over it in my mind and think about how I would restate it if I were paraphrasing it for someone else to better understand. I’m not sure if this helps me get back to sleep or keeps me awake, but it’s better than a dozen other directions my mind could go to at that hour. Have the same mindset as Christ, the anointed one. And especially a death of the worst kind. August, 2014 article: How to Be Humble Like Me. A few weeks ago a guy came up to me after church and told me how much he was thankful for the leadership of my wife and I while I was on staff at that church for four years more than 20 years ago. It’s nice to know our contribution was appreciated and remembered after all that time, especially when the population of that church has changed so much over the years. We all like a thank you every now and then. It reminded me of the story of the ten lepers. Most of you know this, but for those who don’t you can take 60 seconds to read it in Luke 17:11-19. We tend to think of this as a story of Christ’s strength and power. First of all, we see Jesus in his divinity. He cures the ten lepers with just a command; he speaks the word and they are healed, not necessarily instantaneously, but as they take the steps of traveling to show themselves to the priest. But it happens at his word. Not only that, but when the one leper returns to give thanks, he turns it into a teachable moment. But I wonder if, second of all, we also see Jesus in his humanity? While he didn’t need the lepers to head off to Hallmark after and buy a package of ten assorted thank-you notes, I wonder if it warmed his heart to be thanked for what he had done? Leper #4: Here we go, boxed Thank-You cards. Leper #3: We can’t all send the same card. Leper #7: What if we all sign one card. Leper #8: Look this package has an assortment. Leper #5: Ask if they take MasterCard. …and also, do you owe the Lord a thank-you for something you haven’t actually expressed to him? This is my 4th time around reviewing a book by Kyle Idleman and those previous titles — Not a Fan, Gods at War, and AHA — have been very well received; plus we’ve also looked at the video curriculum for each of those titles plus several posts devoted to the H20 DVD series. It’s partly that I enjoy his writing and speaking, but partly that I just want to be agent for creating awareness of products I believe can be especially useful in the life of those who have been on their Christ-following journey for awhile, those just starting out, and those who haven’t yet crossed the line of faith. Which brings us to The End of Me: Where Real Life in The Upside-Down Ways of Jesus Begins (David C. Cook, paperback, September 2015), the fourth major release by the teaching pastor of Southeast Christian Church in Louisville, Kentucky. Do you ever read the little subject categories they place near the barcodes on books? On my copy this one says “RELIGION” (in capital letters just like that) and then the subcategories “Christian Life” and “Spiritual Growth.” I want to suggest three different bookstore categories where I would file this title. 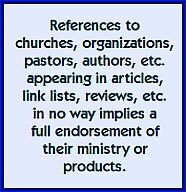 Bible Commentary – Okay, suppose any Christian title is in some way an amplification of Bible truths, but some authors include this dimension more than others. The End of Me starts out with four particular statements from The Sermon on the Mount where Jesus seems to turn the logic of religious presuppositions on its head. The broken in spirit inherit the Kingdom. Those who weep are comforted. You know these as selections from a part of the sermon we call The Beatitudes. He then continues with four additional principles that are rooted in other parts of the New Testament that continue the upside-down theme. The empty are filled. The weak are strong. However, each chapter goes beyond the obvious, single allusion to a particular passage. We see that the whole tenor and character of the New Testament reflects these principles multiple times over. Self Help – Christ’s call to discipleship is very much a call to action. Through his ministry, Kyle Idleman has run into people in all types of life situations and shares these along with personal anecdotes of people missing out on the fullness that God has for them through poor decision making. In other words, if we can learn the upside-down principles Jesus teaches, we can actually save ourselves a lot of grief and pain. Humor – As with the previously mentioned three titles, Kyle Idleman is one of those naturally funny people. Some of it is self-deprecating humor, some is dry and sarcastic, and some of it is simply his writing style. The footnotes may be distracting to some, but to me, they’re an integral part of the text. I like an author who doesn’t take himself too seriously, although he takes his faith very seriously. …There are a number of things about The End of Me that are similar to themes in the previous three published works. Like Not a Fan, there is the idea that following Christ involves commitment to ideals and values and beliefs that go against the ways of a secularized society. Like Gods at War there is the dimension that to live in the upside-down Kingdom is to do so against various other worldviews that are competing for our attention and allegiance. And like AHA, there is the important factor of realizing we’ve reached our limit — the end of life on our own terms — and coming to our senses. Look for The End of Me in the book aisle in the bright red wrapper. The Star Trek mantra that “The needs of the many outweigh the needs of the few” is very noble in context, but Christian ministry is all about the few. That’s hard to reconcile in at a time in history when people are preoccupied with stats and even in the church, pastors meet each other at conferences comparing notes as to average attendance and annual budget. They’re casualty numbers. 9/11. Gettysburg. American soldiers in World War II. I don’t have much of a head for numbers, but I know enough to know that that’s a lot of people–a lot of individuals. Given a world with more than seven billion people, it may be only natural and reasonable for us to think of nameless, faceless masses. The crowds of Middle Eastern immigrants marching from Hungary to Austria seem to be just that: crowds, mobs, hordes, multitudes. But it’s merely a coping trick of the mind, not reality. “You shall love your neighbor,” said Jesus, “as you love yourself (Mark 12:30a).” How do we love ourselves? With knowledge, respect, and sacrifice. The refusal to love our neighbors with knowledge, respect, and sacrifice results in a coarsening of our souls and a distortion of the image of God in us. 42b…As Jesus was on his way, the crowds almost crushed him. 43And a woman was there who had been subject to bleeding for twelve years, but no one could heal her. 44 She came up behind him and touched the edge of his cloak, and immediately her bleeding stopped. 45“Who touched me?” Jesus asked. This is one of those books where the writer takes key stories from the New Testament and retells them as though they happened today. There. I said it. Yes, I know… been there, done that. Updating the narrative is the stuff of every youth group meeting you’ve ever been to, right? But this one was different. I got ambushed. It totally brought the stories to life for me and cause them to see them in a fresh way. Christ’s birth. The parables. The encounters. The miracles. The crucifixion. The post-resurrection appearances. For me, The First Time We Saw Him: Awakening to the Wonder of Jesus (Bethany House, 2014) shows that Matt Mikalatos is an author who can truly pull this off. And yes, the above paragraph says 2014. The book was sitting unread in a stack of review copies that I obviously received a year ago. Something drew me to it. That’s probably what bothers me most; that great books like this just get lost in the shuffle because they don’t nicely fit into a specific (prayer, marriage, parenting, devotions) category. At this point, the review is about to get subjective. If anything, reading The First Time We Saw Him awakened me to the idea that you just can’t wreck this story we call The Bible. No critic can detract from it. Science can’t undermine it. Poor translations can’t spoil it. Skepticism can’t keep you from being drawn back to it. It’s times like this I wish this blog, as popular as it is, had exponentially greater influence, because I’d like to start a movement that would get people passionate about books like The First Time Saw Him, and take this book in particular, and make it the sleeper hit of the year; rock it to the top of the charts. It’s definitely worthy of greater exposure. I think later tonight, I’ll start back at chapter one. Scripture tells us that the words of Jesus made people uncomfortable, confused, angry, repentant, worshipful, and riotous. Today, we read the words of Christ in a steady, even tone and find ourselves wondering if maybe we’re missing something. Could it be that we’ve lost the emotional power of Jesus’s words simply because we’re too familiar with them? With incredible insight into the surprising and unsettling aspects of Jesus’s parables and life, Matt Mikalatos reimagines familiar stories and parables in a modern-day setting, bringing alive for the contemporary reader all the controversy and conflict inherent in the originals. 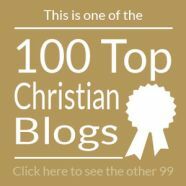 These emotional, sometimes humorous, and jaw-dropping retellings include the stories of the prodigal son, the good Samaritan, the lost coin, the feeding of the 5,000, the death and resurrection of Jesus, and more, asking provocative questions like What would be the modern equivalent of Jesus letting a “sinful woman” wash his feet? Who would be the hero of “The Good Samaritan”? How would Jesus tell the parable of the lost sheep in a city like Portland?